It is with regret that the Club has to announce the death of Associate Member, Robert Rushbrook MBE, who passed away on 15 January 2011. Rob was an integral part of Lola’s foundations in motorsport from the very beginning in 1958. 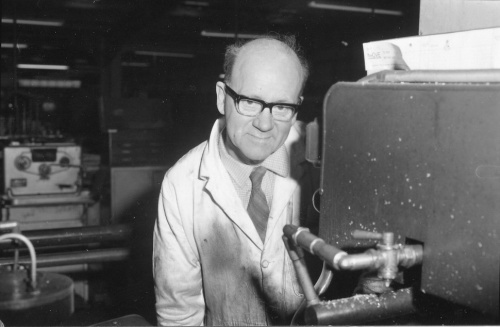 An early business partner of Lola founder Eric Broadley, Rob was instrumental in building the production batch of Mark 1s and was central success Lola’s development and success during the 1960s, 70s and 80s. Condolences have been passed to Rob’s wife Beatrice, his daughter's Brenda and Celia and son Alan. Rob’s funeral will take place on Wednesday 2 February 2011 at 2.30pm at Bedford Crematorium. All present are invited back to the Royal Oak at Hail Weston following the service. Family flowers only please.